Is shared space dead? – Driverless Futures? 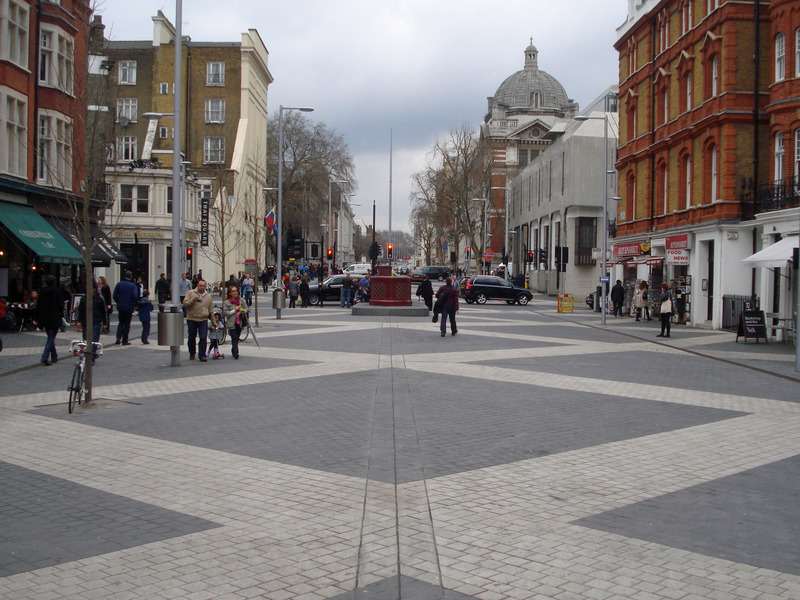 Exhibition Road, one of the UK’s largest experiments in ‘shared space’, is to be remodelled, bringing back the apparatus that previously separated cars from pedestrians. This news comes a week after the death of Ben Hamilton-Baillie, one of the UK designers who fought hardest to rethink the way traffic is organised. I have argued that shared space is a useful way to think about the democratisation of innovation. Rather than separating our technical and social interests, we should look for ways to mix them up, even if it means that the outcomes are messy and, potentially, slow. If we expect the public to stay in their lane, it is too easy for their concerns to be invisible. For the governance of innovation, there are various ways in which public concerns are contained. For artificial intelligence, it has become common to talk about ‘ethics’, as though that captures the worries that people might have (Google recently announced the creation of a new expert ethics board). The risk is that such things push the politics of AI aside, allowing the juggernaut of innovation to carry on at full speed, just as before. A shared space alternative might have involved processes of ongoing public engagement and the welcoming of external regulation. However, shared space has always had its critics. Even when it works and the balance of power between cars and pedestrians is shifted, there are road users who remain vulnerable. Shared space in London has been wounded by campaigns from disability rights groups and a report by Lord Holmes. For self-driving cars, the analogy may need to come back down to earth. The arrival of intelligent transport is likely to force upgrades in infrastructure that rationalise streets, making the intentional mess of shared space even less attractive. As with the arguments about shared space, these are likely to circle around questions of safety. But should safe space be our only concern?